Passion for your healing and wellbeing. Dr. Toyooka’s office specializes in dealing with automobile injuries, pain management and worker’s compensation injuries. Find out about us, fill out our intake forms and organize your first visit. I am devoted to facilitating and unleashing the natural healing power of the human body by correcting imbalances and defects in spinal alignment through chiropractic treatment. 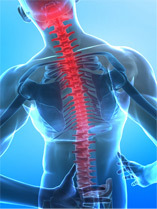 Chiropractic treatment is part of a wellness lifestyle. My specialty is in the treatment of individuals who have suffered an automobile or work related injury with my own proprietary pain management program. My treatment is especially gentle, safe and effective for everyone, including infants, pregnant women and the elderly. Michael Toyooka, D.C. is the owner of Hawaii Family Chiropractic Center. Dr. Toyooka has been providing quality chiropractic care in Honolulu since 2000, and has helped hundreds of patients finally achieve relief from headaches, body pains, sciatica, pinched nerves, bulging and herniated discs, arm and leg numbness, carpal tunnel, sports injuries, and automobile accident injuries. We accept all major insurance plans for our services, including HSMA, Akamai Advantage Plans, EUTF (State Workers), Federal HMSA plans, HMAA, HMA, American Specialty Health (Kaiser), Auto and Work Injury Insurance. Ask us about other private insurance and our family discount plan. We accept all major credit cards, check, money order and cash. Payment for services are required after services are rendered. Michael Toyooka, D.C. is Advanced rated in the Activator technique.